The CMPDD was designated by the U.S. Department of Commerce, Economic Development Administration (EDA), as an economic development district in 1969. This designation enables counties, municipalities, and growth centers which are active members of the CMPDD to be eligible for EDA funds. 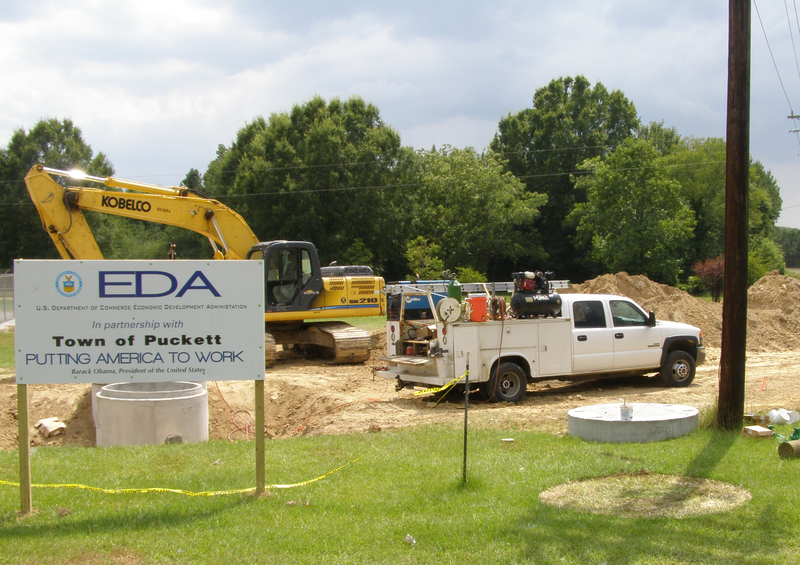 Primarily, EDA programs benefit local governments by providing grant assistance to construct necessary infrastructure improvements in industrial parks. Since its inception, the CMPDD has successfully secured over $41 million in EDA funds to provide needed infrastructure to 16 industrial parks in the region. The Public Works Program is used to help distressed communities improve physical infrastructure in order to attract new industry and encourage business expansion. The Economic Adjustment Program focuses on areas that have experienced or are under threat of damage to the area’s economic base. This program predominantly supports three types of grant activities: strategic planning, project implementation, and revolving loan funds. The Local Technical Assistance Program is designed to assist in solving specific economic development problems and often supports feasibility studies on potential economic development projects. For additional information, please contact Lindsay Sellers at (601) 981-1511.